The night of July 21st started like any other for Marc Donahue of Permagrin Films. 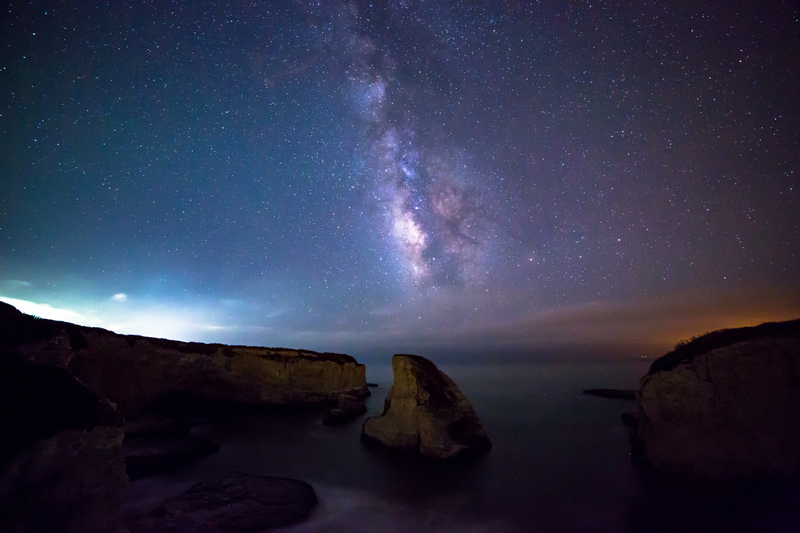 Donahue and a friend set up to take time-lapse footage of the Milky Way rising above Shark Fin Cove, just north of Santa Cruz, California. But suddenly, they saw a bright flash in the sky that lit up ground. They saw a streak of across the sky of burning dust, and Donahue knew he had captured something rare. 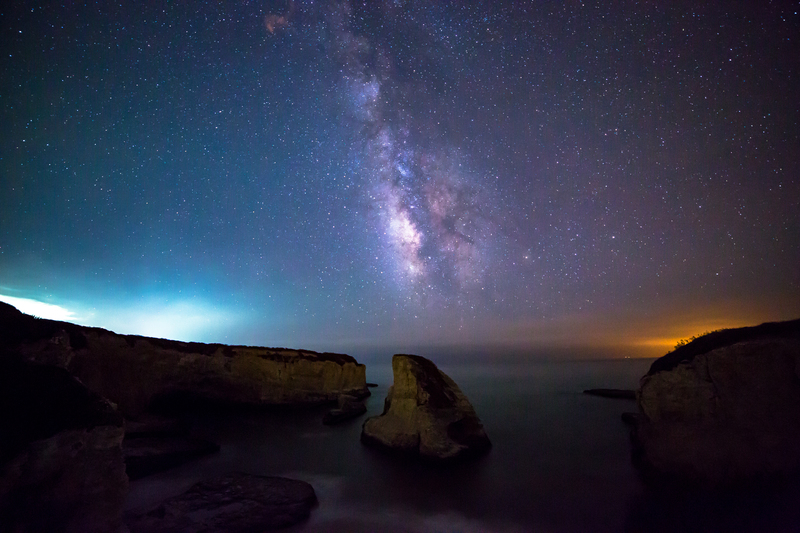 Donahue was taking 15-second exposures of the night sky at the time. The final footage that you see here is made up of more than 50 frames, which means the entire scene you see here took 12 and a half minutes to play out. I asked Donahue what exactly happened in the sky that night, and while he doesn’t know exactly, some online research pointed him to the possible explanation. As a result, the collection of smaller pieces has a larger front-facing surface area, causing even more stresses to build up. In very short order, a runaway fragmentation cascade disintegrates the meteor, depositing much of its kinetic energy into the air all at once. When such a fast-moving object enters the atmosphere of the Earth, the air slows it down due to its viscosity. However, the meteor is moving very, very fast. Unlike most falling objects, it doesn’t get a chance to even reach terminal velocity. With the meteor moving at this speed, there is a lot of heat generated (compression, as well as friction/viscosity). This boils the meteor (many meteors contain ice or dry ice), leading to a buildup in pressure. If the boiling happens too quickly, the meteor will explode. Plain-and-simple, hurling through the atmosphere filled with something that can boil can cause an explosion with a tremendous amount of energy. We were shooting at Shark Fin Cove in Davenport because there is little light pollution. This makes the Milky Way stand out more. We were shooting this just for fun, as I have had an intern with me all summer and wanted to teach him a thing or two about astrophotography. Looks like he learned a lot more than expected. We waited for the moon to set before we started taking time-lapse photos. I had 1 camera on a 20 foot Stage Zero and another static camera on a tripod. The static camera captured it, but barely. To see more from Donahue, give him a follow on the PermaGrin Instagram and Twitter.